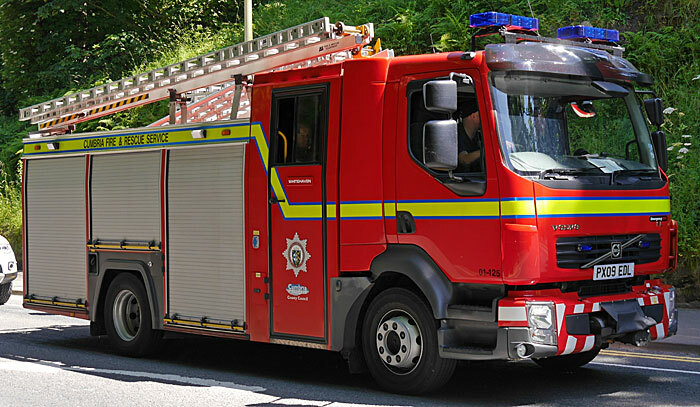 Leading the procession around town was one of the fire-engines, from the station at Hensingham, polished and shiny. 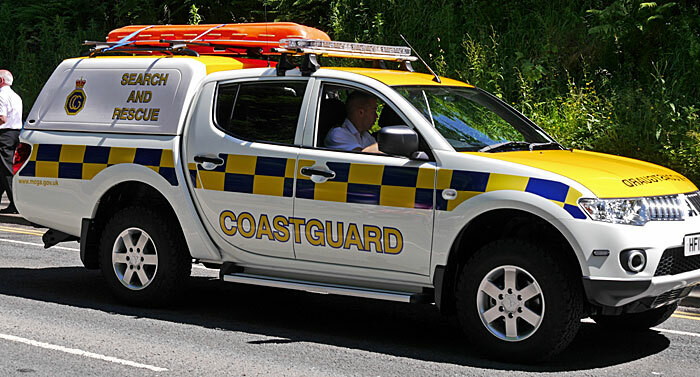 Following the fire brigade was another of our emergency services, the coastguard, based in the old Wellington lodge near the Candlestick. 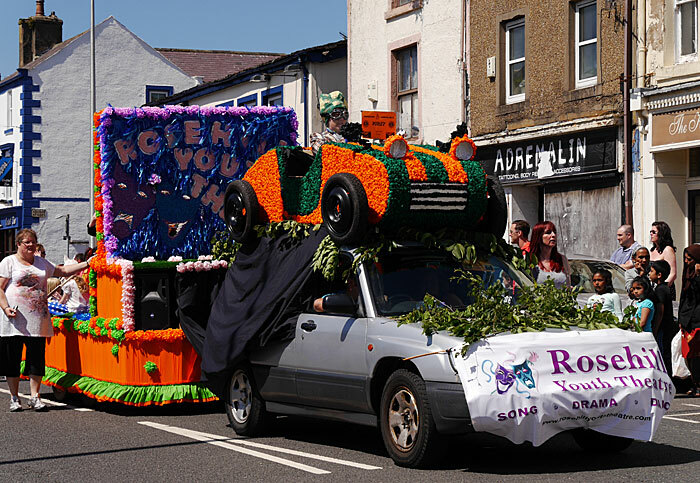 My favourite float this year was by Rosehill youth theatre who were advertising their production of "When toad came home" based on Kenneth Grahame's Wind in the Willows. 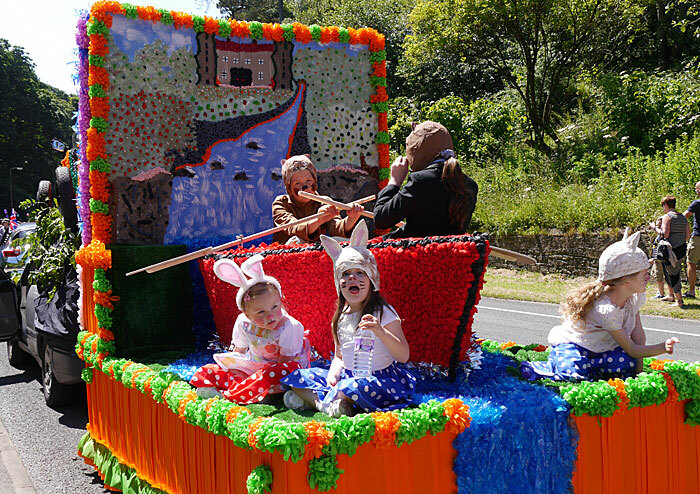 A diorama of the famous scene of Mole and Ratty rowing down the river was cleverly crafted with traditional crepe paper decoration. 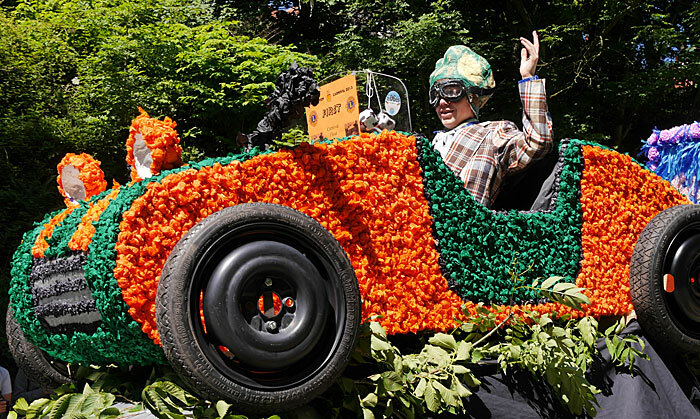 Ahead of the float, the car was also decorated with a fantastic model of Mr. Toad's racing car on the roof. 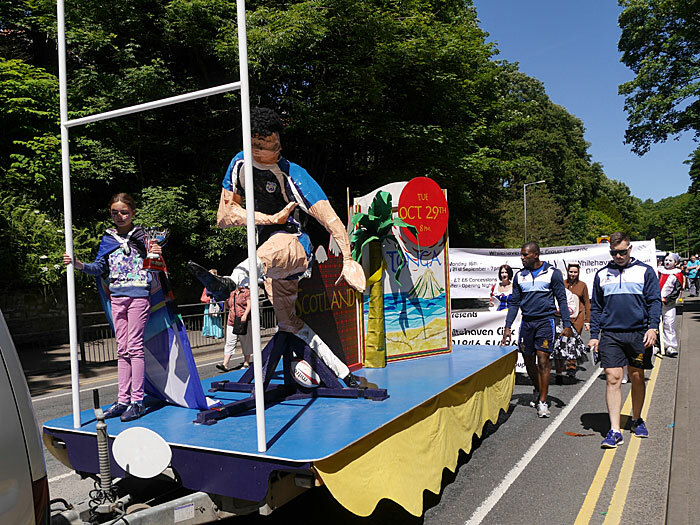 The attention to detail and the amount of work creating this sculpture is probably what made this also the judges' favourite with a 1st prize for best float. 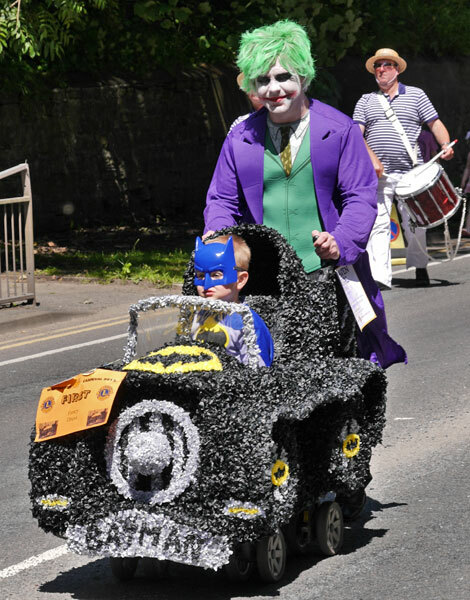 The smallest float, possbly ever, must have been this one of batman's car which also received a 1st prize in the fancy dress category for Batman and Robin. 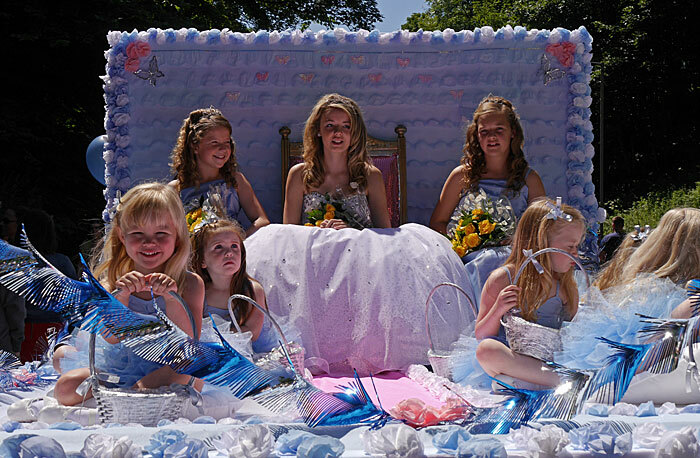 The Carnival Queen for 2013 was the lovely Georgia Taylor who was dressed in white and her attendants in pale blue. 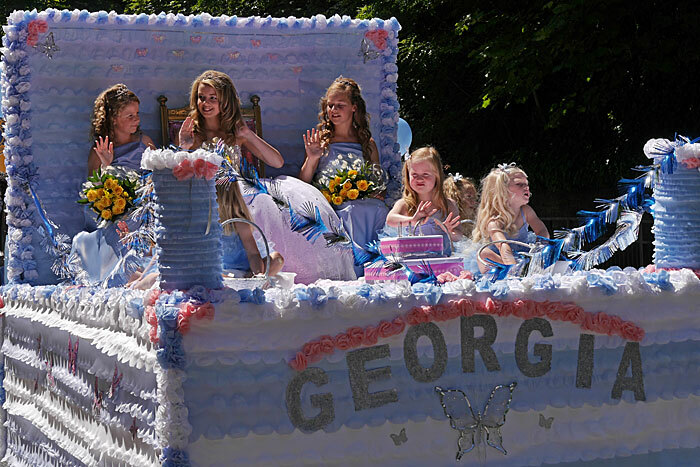 Queen Georgia's float was traditionally decorated in blue and white to match the dresses and trimmed all around the edge with blue and white roses. 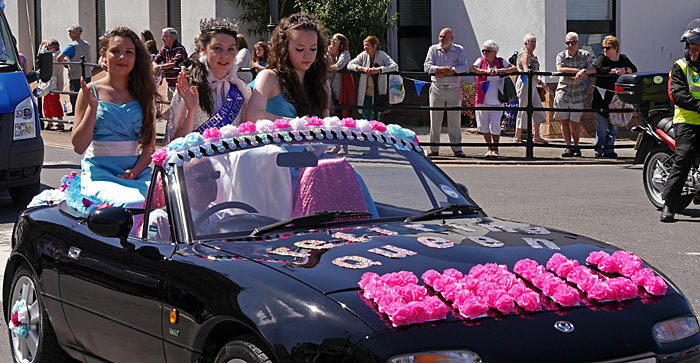 Emily was this year's retiring Queen and as with tradition travelled the route in an open-top car along with her attendants in order to transfer the title to the new Queen at a ceremony in the castle park. 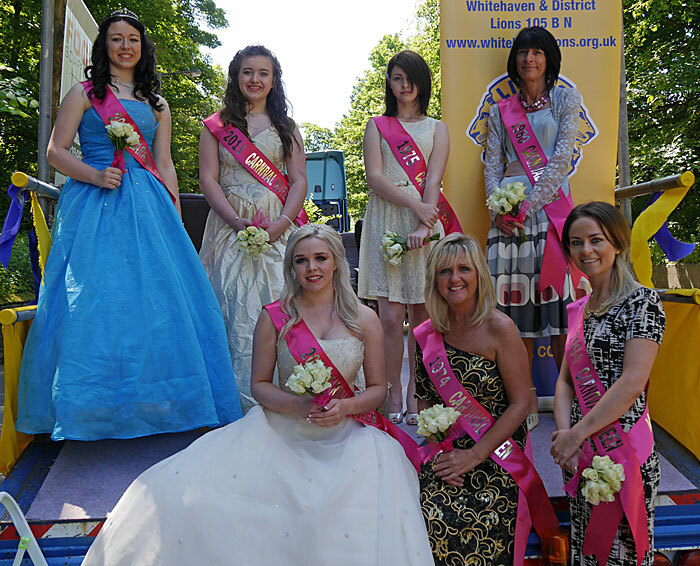 The Lions had a float this year celebrating past carnival Queens with several present stretching back through the years and all still as beautiful as ever. Being driven around in an open top sports car by Cllr. 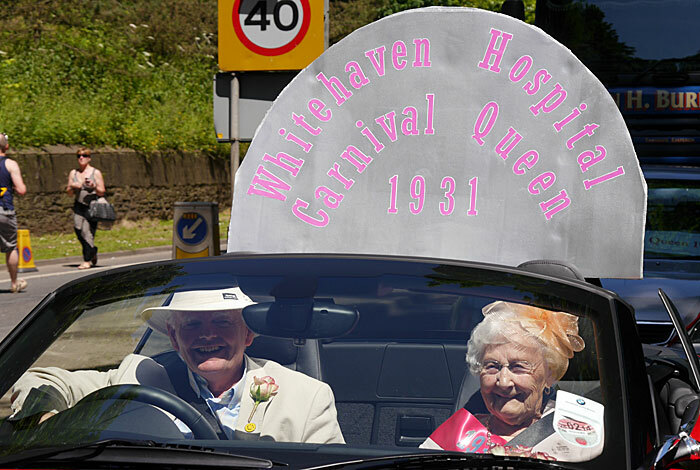 George Clements was the Carnival Queen from 1931 - Annie Jeffrey - who at 95 years old looked in good health and good humour. A large model of a rugby player kicking for the sticks advertised the Rugby League World cup and the Scotish team being hosted at Workington for their match against Tonga on 29th October. 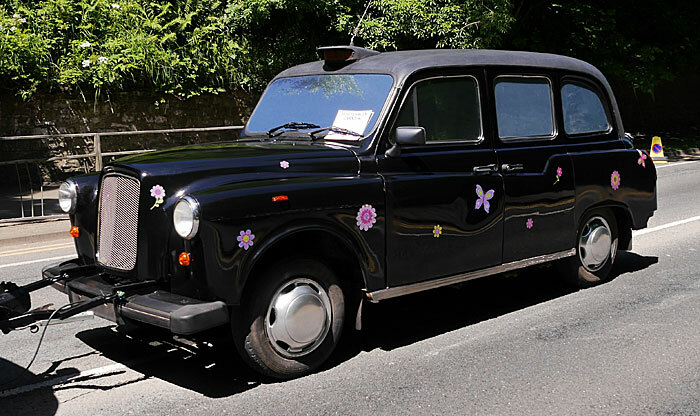 A London taxi featured in this year's carnival along with a couple of Pearly Kings was the entry by Fun Police Inspectors who supply bouncy castles and test play equipment. 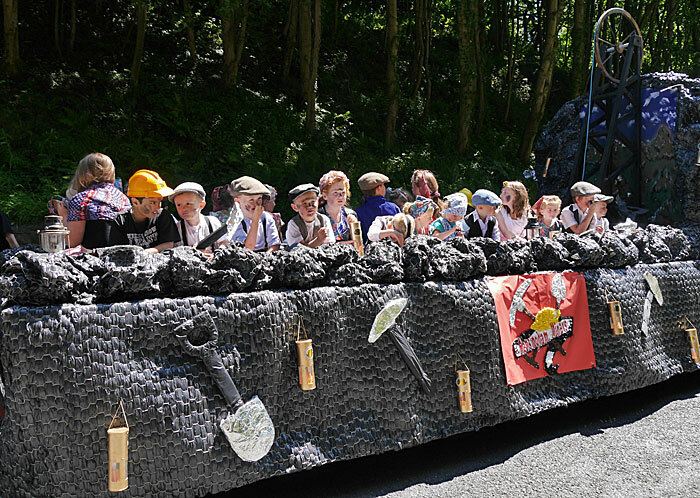 Hensingham primary school float reflected Whitehaven's coal mining heritage with a pit head winding wheel and many blackened faced kids in traditional costume. 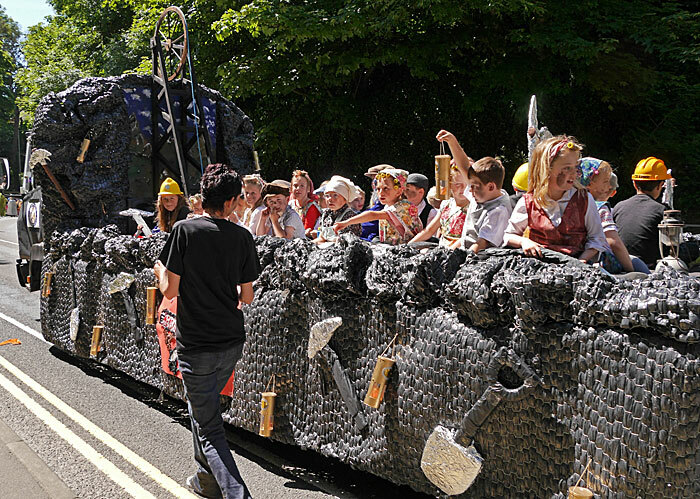 The float was uniquely decorated in grey/black with mining tools and Davy lamps. 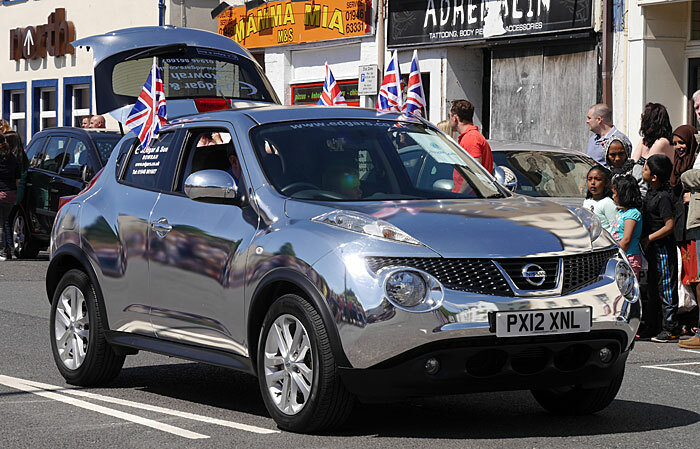 Edgars Nissan displayed the special mirror-shiny Juke to advertise their garage at Rowrah.